Orioles placed LHP Richard Bleier on the 10-day injured list with shoulder tendinitis. Bleier complained about his shoulder after his appearance against the A's on Tuesday. 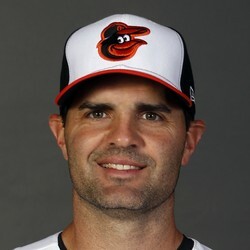 Bleier is almost 10 months removed from serious lat surgery and the Orioles will be cautious with the reliever and his shoulder and could be on the IL for more that the required 10 days.